There was nothing to suggest it would be anything other than a routine delivery. Four people thrown together by chance, sailing a newly-built catamaran from South Africa to Miami. But while they were away, something happened, something none of them could ever have imagined. When they get back to civilization, they find it no longer exists. The land is no longer safe. Their only option is to stay on the boat and try to survive. His first novel, 'For Those In Peril On The Sea', was published by Pictish Beast Publications in the UK in January 2013, and internationally in March of the same year. This book was selected as one of only five finalists in the ForeWord Firsts winter 2013 competition for debut novels. 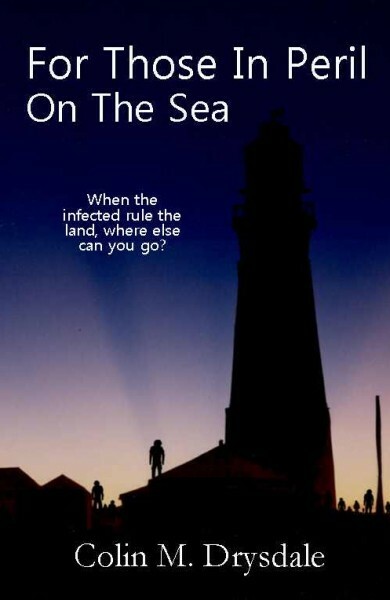 In 'For Those In Peril On The Sea', Colin M. Drysdale draws on many of his experiences working on and around the sea to tell the story of four strangers thrown together by chance on a yacht when civilization is brought to a sudden and unexpected end. Face with a new world where it is no longer safe to go ashore, they must work together to find a way to survive everything it has to throw at them. Love Amazon...they have wonderful books and other items. Great for my needs or gifts. Thank you. I'd love paypal. I have a baby on the way. Amazon is a great source for favorite books as well as other things. Thanks for the chance. I'm an amazon fan. I shop there year-round. Thank you for the giveaway.